Last Friday, we looked at the significance of John’s use of the word “dwelt” in John 1:14 . I argued that by using the peculiar word for to pitch a tent, John was calling our attention to the Tabernacle of Israel, where God condescended to reveal Himself to Israel for worship and communion. The climax of the story of the Tabernacle comes in Exodus 40:34–38 , where Yahweh’s glory fills the Tabernacle, signifying that He will dwell—that He will take up residence—with His people. That scene sheds light on the relationship between the two phrases in John 1:14 : “and [He] dwelt among us,” fits perfectly with “and we saw His glory.” There is an inseparable connection between the (a) dwelling place of God, and (b) His glory that fills that place. Thedwelling of God is inseparable from the glory of God. And so the glory of Yahweh was with Israel in the tabernacle—a cloud by day and a fire by night (Ex 40:38 ). And it led them in all their journeys through the wilderness and into the land of Canaan. 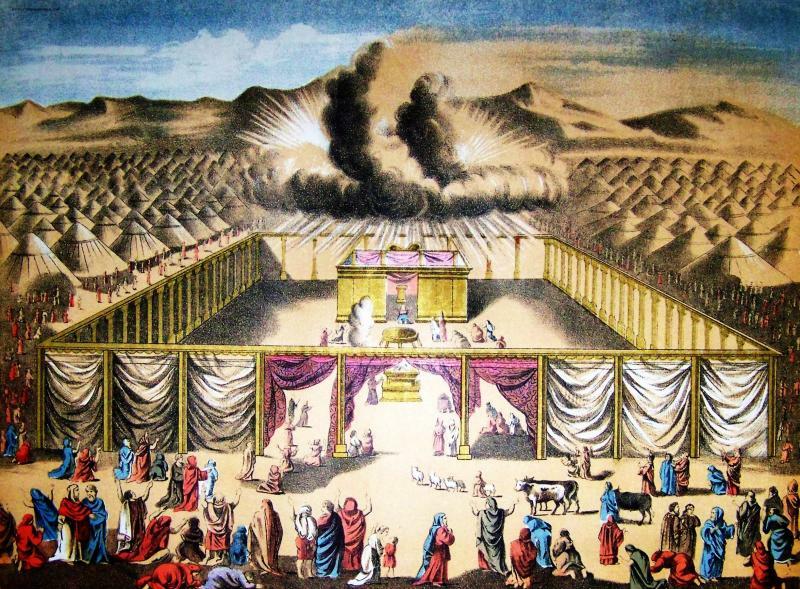 Whenever they would move, they would take down the Tabernacle, and then when they would settle in another place they would set up the Tabernacle (Ex 40:37 ). And that’s the way it went for over 450 years, even after they entered the land of Canaan. If we fast-forward about 450 years from Exodus 40 and the journey of the glory of God with Israel in the wilderness, we arrive at 1 Kings 8. 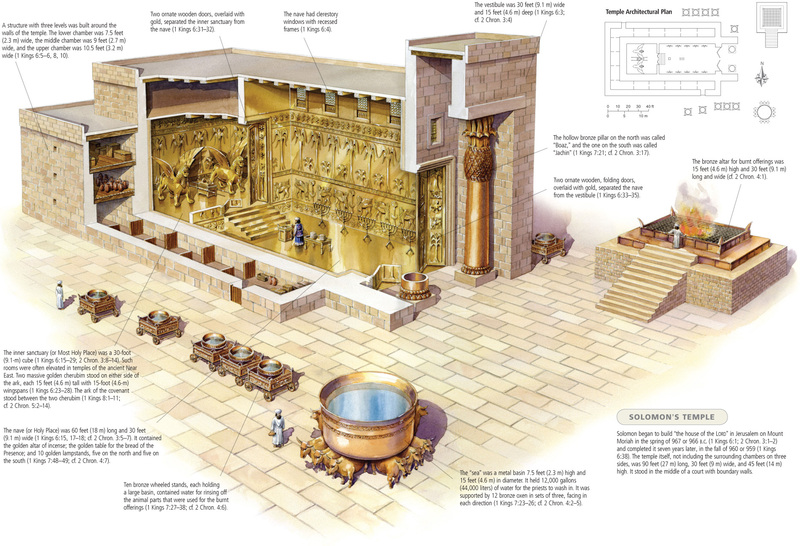 By this time the construction of Solomon’s temple has been completed. And the temple is just magnificent. 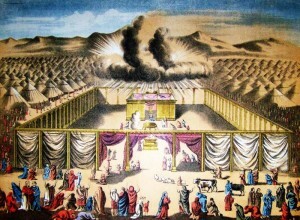 It was twice the size of the tabernacle, which itself was impressive. Not including the court, the temple itself was 90 feet long, 30 feet wide, and 45 feet high. On the inside, everything in it was overlaid with gold. 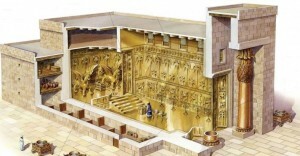 When construction was finished, the priests and the Levites brought the Ark of the Covenant into the Holy of Holies (1Ki 8:4–6 ) and stationed the ark under the wings of two massive 15-foot golden cherubim. This is exactly what happened in Exodus 40 at the completion of the tabernacle. Yahweh is now declaring that He will no longer dwell in the tabernacle, but He will be with His people in this temple. Yahweh’s glory descends and takes up residence in His temple. He dwells there among His people. Until the tragedy of the Babylonian exile. Over 350 years after the glory of God filled Solomon’s temple, the wickedness of the southern kingdom of Judah was growing too great for Yahweh to bear. 2 Chronicles 36 sets the context. Judah is under their final king, Zedekiah. They are only six years away from the final deportation to Babylon. God gave them every opportunity for repentance. But the people just preferred their idols. These abominations, this mass idolatry, is happening in the dwelling place of Yahweh. In the place where His glory dwells. In the place where He condescends and meets Israel andprovides atonement for their sin. Finally, the glory of Yahweh departs from the temple, hovers over the Mount of Olives, and then ascends with the cherubim back into heaven. For the first time in Israel’s history—for the first time in 850 years—Israel was without the presence of their God. Yahweh is no longer dwelling with His people. This is the last time the glory of Yahweh is seen on the earth. Until, says the Apostle John, until now. Until the Word became flesh and dwelt among us, and we beheld His glory. The next time the glory of Yahweh is seen it comes to the shepherds to proclaim the birth of Jesus (Luke 2:9 ). The angels’ message is that the glory of Yahweh has returned to Israel in the city of David. It is the Savior! It is Christ the Lord (Luke 2:11 )! And those words are just huge ways to describe what’s going on here. Christtranslates “Messiah.” This Savior that has been born is the Anointed One of Yahweh! The long-anticipated Coming One! And “the Lord,” there, isn’t functioning simply as a title. It’s the Greek translation of the Divine Name: Yahweh (which the Jews had replaced with Adonai, “Lord”). 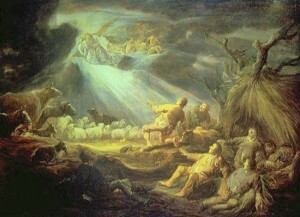 With the glory of God that no one has seen for 600 years shining around him, the angel is announcing: “Yahweh is here!” In the birth of Jesus, God is declaring the fulfillment of that great New Covenant promise that so many hoped in for thousands of years: “My dwelling place also will be with them; and I will be their God, and they will be My people” (Ezek 37:27 ). 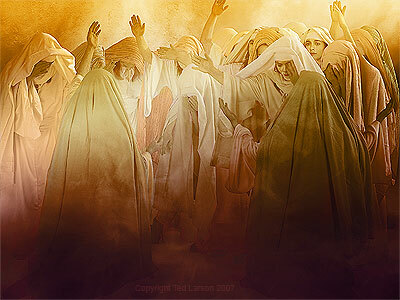 And so when John tells us that the Eternal Word became flesh, and tabernacled among us, and that we beheld His glory, he is proclaiming to his audience that in the same way that the glory that filled the tabernacle and temple were the manifestation of God’s presence—so now He is revealing His glory to the world in Jesus. The Word become flesh. The image of the invisible God. The radiance of His glory and the exact representation of His nature. This is the baby Jesus, dear friends. This is your Savior. O come, let us adore Him. Mike is the Pastor of Local Outreach Ministries at Grace Community Church in Los Angeles. He also teaches Evangelism at The Master's Seminary.